Try this typically northern way of making and serving chee cheong fun, in this recipe for Penang Style Rice Rolls with Prawn Paste Sauce. This recipe also includes the ingredients and method of making the deliciously spicy chilli paste which Malaysians so love. 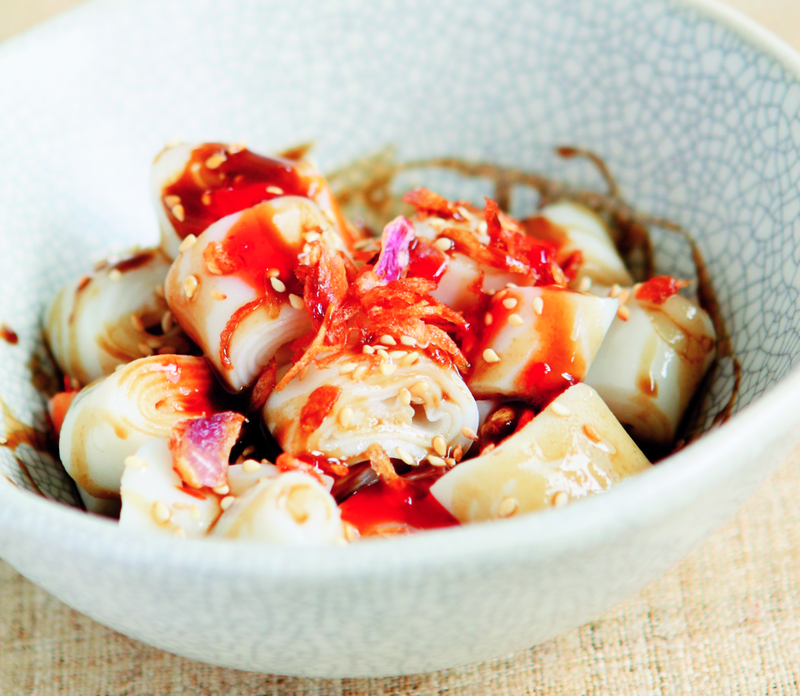 Here’s the Steamed Rice Rolls (Chee Cheong Fun) recipe. Blend or pound all chilli paste ingredients to a paste. Heat the oil in a wok over medium heat. Fry chilli paste until oil bubbles. Season to taste with sugar. Cut the steamed rice rolls and place on a serving dish. Drizzle with shallot oil, prawn paste, hoisin sauce and chilli sauce according to taste. Sprinkle with sesame seeds and fried shallot. Serve with chilli paste on the side.